– The Lake Havasu Area Chamber of Commerce is making plans for its first-ever Desert Bash and Poker Run event being held at Campbell Ranch, 4066 Chemehuevi Blvd. The event will run all weekend long, beginning Friday, December 9, 2011 at 4:00 p.m. and wrapping up on Sunday, December 11. 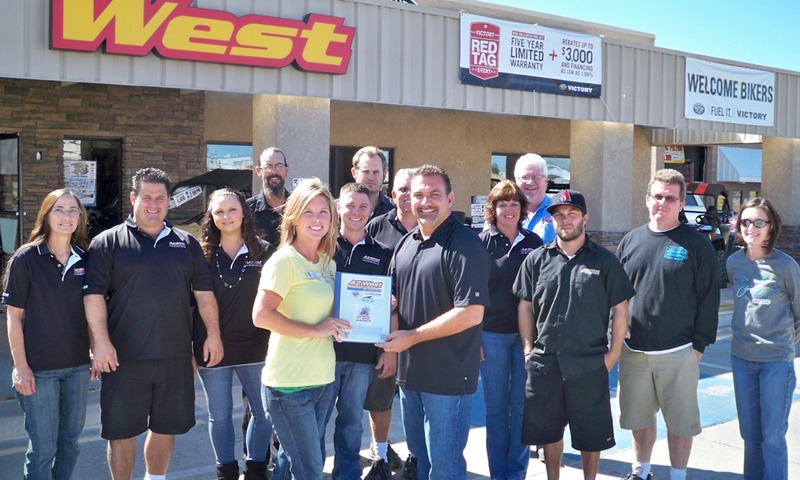 The Chamber is proud to announce the presenting sponsor for the event as Arizona West Allsports, Inc.
Activities include; two nights of camping (20’ x 40’ campsites), Off-Road Poker Run Saturday with registration beginning at 6 a.m., live bands both Friday and Saturday evenings, BBQ and Tri-Tip meals, beer garden, vendor area, off-road show and shine and a Santa Visit along with many other family friendly activities. Camp sites and Poker Run spaces are limited so please, get your registration forms into the Chamber as soon as possible. There are still various levels of Sponsorships available for the event. Some of which include; Check Point Sponsors, Entertainment Sponsor, Beer Garden Sponsor, Media Sponsors and a Children’s Activity Area Sponsor. If you are interested in becoming a sponsor of this event, visit the Chamber’s website below for the Sponsorship Packet or contact Jeni Coke, also at the number or e-mail below. For additional information and registration forms, visit the Chamber of Commerce website at www.havasuchamber.com, on www.facebook.com/havasuchamber or call 928-855-4115.